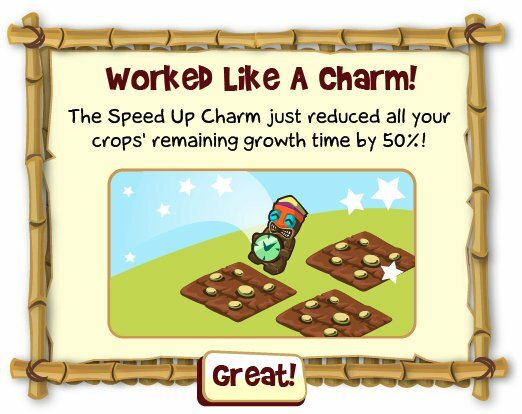 Today, Tiki Farm released the new Speed Up charm, which makes all crops grow faster by 50%, but you're still going to need to check on your crops frequently to water them cause crops stop growing when they get dry. The charm costs 10 Facebook Credits and can be found by opening up the game and going to "Shop", "Upgrades", then "Charms". Players can also get the Speed Up charm for free by gifting it to each other.